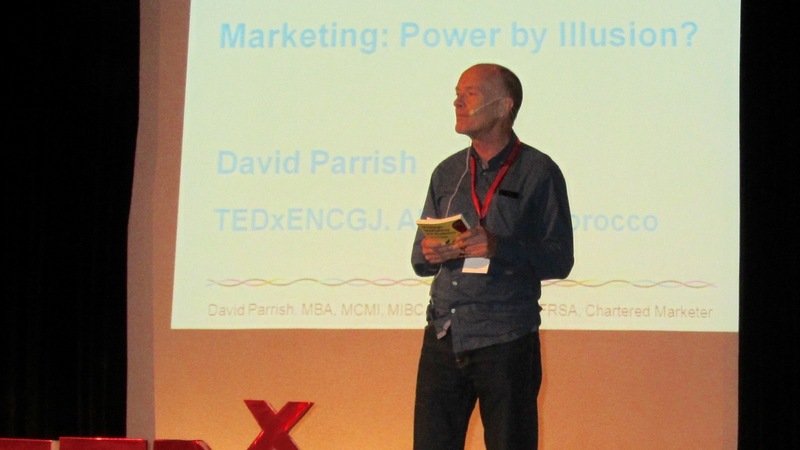 This marketing article is based on David’s TEDx talk ‘Marketing: Power by Illusion?’ at TEDxENCGJ, El Jadida, Morocco, in April 2015. David is an international keynote speaker on marketing, international business and the creative industries. 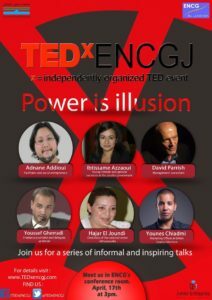 The theme of this TEDx event is ‘Power is Illusion’ and my talk is going to come from the angle of marketing, my profession, and asks the question – Marketing: is it power by illusion? When I first began preparing my talk, one of the first images that came to mind under the topic of ‘Power is Illusion” is the idea of a ‘paper tiger’. The paper tiger is a Chinese concept made famous by Chairman Mao Tse-tung when he was talking about the imperialism of the United States. Of course the meaning of a ‘paper tiger’ is something which might look fierce on the outside, but actually has no substance whatsoever. Something that looks good, that creates the illusion of power, but actually has no power at all. Nevertheless, a paper tiger can be effective precisely because it seems to have more power, more influence, more substance, than it really does. Is Marketing a ‘Paper Tiger’? So I would say that this kind of marketing, this bad marketing, is indeed power by illusion. Yes, it’s a paper tiger. There is no substance and ultimately it cannot deliver. But there is another way. Marketing doesn’t have to mean dirty tricks, clever techniques, and I know this because as a qualified marketing professional I’ve studied marketing in different ways. And as a marketing consultant helping businesses all around the world to become even more successful, I know that marketing can be done in a much better way, in a way that is consistent with our true values, with honesty, with openness. I call this marketing ‘authentic’ marketing. This is when marketing has power without illusion. Authentic marketing works for the seller but also for the buyer. Authentic marketing creates win-win’s. Let me tell you a true story. This is from my book – ‘Chase One Rabbit: Strategic Marketing for Business Success. 63 Tips, Tales and Techniques for Creative Entrepreneurs.’ It’s the story of a man called Nick. Nick is an Englishman and he makes furniture, but I have to explain that this furniture is no ordinary functional furniture because he’s a designer, a craftsman, a sculptor. And so his furniture, each piece, is a work of art and consequently very expensive and unique. Nick had received lots of advice from different people. Somebody said he should advertise his products in all kinds of different places, here, there and everywhere, and he did that at great expense but it wasn’t effective. Other people said he should go to networking events and shake hands with hundreds of people and give out thousands of business cards, but it just wasn’t a comfortable thing for him to do. It wasn’t his style. Somebody else said that he should open up a shop on the high street, and he tried that, but it failed because that attracted customers who were looking for simple ordinary furniture so when they found out the prices they ran away. So Nick was actually in despair and thinking of closing the whole business when we came to me to ask for advice. But before giving advice I asked some questions. I said, “But, you do sell furniture. How does it sell? What is the process? What happens? Tell me.” And he said, “Well, usually it’s by word of mouth recommendations and personal recommendations from customers.” And he said that almost apologetically, but I think that’s wonderful. And then he told me that a few weeks ago, at the weekend, he went to see some friends of his who live in the countryside in a nice house. He is an architect, she is a teacher, the couple who live there. And they’d become friends with Nick because previously they bought furniture from him, so he went to visit them at the weekend on a Saturday afternoon for a cup of tea and a piece of cake and a chat. And by coincidence this Saturday they had some friends staying with them, another couple from a different part of the country, and they asked Nick about his business, about his furniture, his studio, his techniques. So he started to tell them naturally, comfortably, enthusiastically about his materials, his studio, his inspiration. And by the time they’d finished two pots of tea they had ordered from him three items of furniture and they paid 50 per cent deposit up front. And this is a guy who tells me he can’t do marketing! What he means is he can’t do marketing when it is false, when it is pretence, when it’s based on illusion. But if you put Nick in front of people with whom he can be his authentic self he is a natural. When you connect him with customers who are on the same wavelength, he communicates beautifully. So if I were in business with Nick, if I were his business partner or marketing executive I wouldn’t tell him to go to networking events or open up a shop on the high street or advertise. I wouldn’t send him on a sales training course. I would simply arrange for him to drink tea and eat cake with the right people. My job would be to select the people to say “Nick, we’re not doing “marketing”. Just go and have a piece of cake and a cup of tea,” and he would come back with orders. I wouldn’t even tell him it was marketing because it might upset him to think that he’s good at marketing because he has such a low opinion of it. But that’s how great marketing works. That’s a good example of authentic marketing, and I’ve taken the same approach in helping other businesses around the world who are selling different products in different ways. So what I’m saying is that the best kind of marketing is not just a bag of tricks. It’s not even some ‘magic dust’. Often, businesses ask my advice as a marketing consultant. They say “We’ve got these products. We want to sell to these customers but it’s not successful. Tell us what to do.” And I think they expect me to go to my briefcase and take out some kind of magic dust and sprinkle it onto these products and then all of a sudden magically everybody will want to buy them. If only…! I wish I had such a thing! But my answer is often that they’ve got it wrong. They shouldn’t be trying to sell to those people at all because they are not the right kind of customer. They’re not willing to pay. They’re not on our wavelength. So instead of helping them to sell to the wrong people, I change the agenda and help them to identify the right kind of market. Strategic marketing is about connecting the right products to the right people. It’s about the whole organisation of the business. It’s very different from trying to sell everything to everybody. 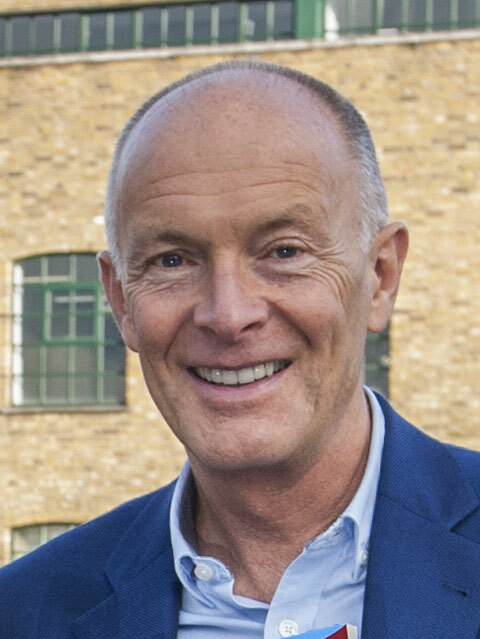 It’s about being selective and ultimately aligning the whole business around the needs of selected customers – and I do say ‘selected’ customers. Strategic marketing is about choosing the right customers because not all customers are good customers. Some of them are more trouble than they’re worth. Some are not profitable. Some won’t pay and some will give you a nervous breakdown, so we need to choose customers carefully. In conclusion I would say that marketing fails when it is based on illusion. It fails the business. It fails the customer. Bad marketing is ‘all mouth and no trousers.’ Bad marketing is a ‘paper tiger’. In contrast and to finish on a positive note, authentic marketing is not a paper tiger. 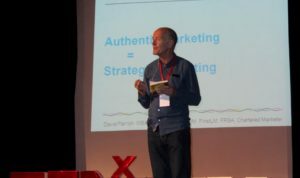 Authentic marketing is power without illusion, and so I recommend to you authentic marketing. I urge you to use it in your businesses, your organisations and your projects, and I wish you every success. This marketing article is available free of charge as a PDF document which can be downloaded, printed, and re-distributed provided it is not changed or sold. 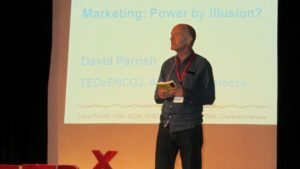 This marketing article is by David Parrish, a specialist marketing speaker and author of a book on strategic marketing.